In a match pitting the #2 seed (MHS) vs. the #3 seed (CHS), this semifinal match up promised to be competitive and intense, with both teams playing for a spot in the championship round on Friday. It was a hard fought match, with both teams giving each other their best shots. Though the score seems to indicate the Lady Minutemen had an easy time of it, that was not the case, as the Centurions put up a fight on each court and never gave up. Maranatha just had a little more in the tank at key points and key junctures. 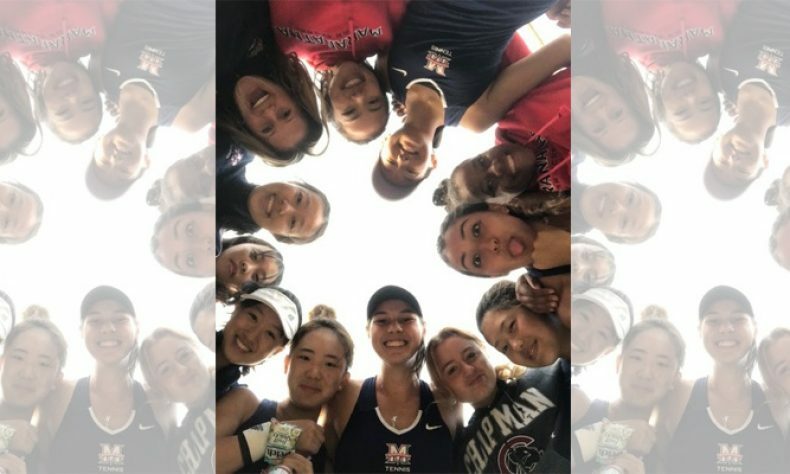 The Lady Minutemen will be seeking their second CIF-SS title in school history, after winning it all in 2014 and making the semis in 2015 and 2017 (both 9-9 losses). In front of them will be a big obstacle, the #1 seed, Woodcrest Christian, who will be seeking their first championship. The heavyweight championship match will be at the Claremont Club on Friday, 11/9, at 1:30 p.m.